The crisis rocking the All Progressives Congress (APC) in Imo may cost the party its quest to retain the governorship of the state as the Independent National Electoral Commission (INEC) has failed to publish the name of any governorship candidate for the party in the state. As reported by Punch on Friday, he commission published at its office in Owerri, names of 67 governorship candidates contesting the 2019 gubernatorial election, their political parties alongside their particulars with that of the APC not reflected in the list, sparking speculations that the issue of its candidate which is being contested in court may be responsible for the omission. 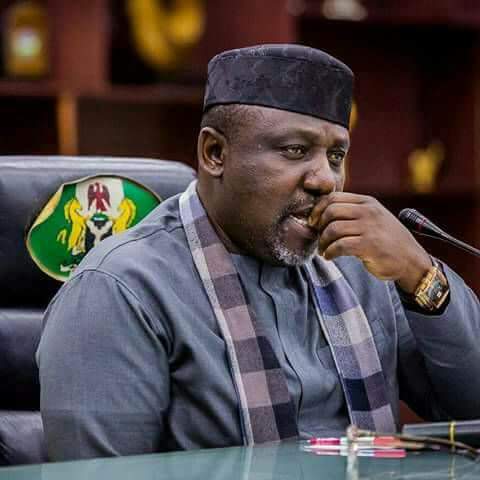 The party leadership favoured the Senator Hope Uzodimma, representing Imo west as it governorship candidate for the state, but the governor, Rochas Okorocha, is rooting for his son-in-law, Uche Nwosu, for the same position. The Buhari Media Organization has dismissed claims by the People’s Democratic Party (PDP), Presidential candidate, Atiku Abubakar that he would pay N33,000 minimum wage to staff under his employment, describing the promise as another attempt to hoodwink Nigerians. In a statement by its Chairman and Secretary, the BMO said that the claim came at a time that some of Atiku’s former workers went public with revelations of unpaid wages and severance benefits as well as unfair labour practices, while questioning the staff strength of his conglomerate which they claimed he has increased from 50,000 to 100,000 within a few week. “Not even Dangote Group which is the largest conglomerate in West Africa has the number of staff these people claim to be on Atiku’s payroll,” the statement read in part. The Academic Staff Union Of Universities (ASUU), on Friday said the proposal by the Federal Government to release N20 billion to public owned unviersities in the country, falls short of its agreement to release N220 billion yearly since 2013. ASUU President, Professor Biodun Ogunyemi who stated this during an interview on Channels Television, described the development as too late, as well as too little, while restating the reiterated the union’s stance that it would not return to the negotiating table with the current head of the Federal Government’s re-negotiating team, Wale Babalakin. “What government ought to have done was to release N220 billion each year. So when we asked for that, the government said that to prove that we have not abandoned that MoU, We will release N20bn as a mark of commitment and that was to be done between September and October last year. So, if we are discussing it in November 2018, it is coming too late,” the ASUU leader said. Director General of the Voice of Nigeria (VON) and a chieftain of the All Progressives Congress (APC) , Osita Okechukwu, has asked the party National Chairman, Adams Oshiomhole, to resign honourably instead of pontification, grandstanding and running away from the country. Addressing a press conference at the national secretariat of the party in Abuja on Thursday, Okechukwu an aggrieved Senatorial aspirant in Enugu said Oshiomhole’s exit will save the save the President Buhari and the APC defeat on the eve of 2019 crucial general election as well as the serious moral burden his reported interrogation by the Department of State Security Services had imposed on it. The Ondo House of Assembly on Friday impeached its Speaker, Bamidele Oloyelogun, and his deputy, Iroju Ogundeji, a move the lawmakers said was aimed at correcting certain lapses in House, including misconduct, and not at witch-hunting anyone. As reported by NAN, 18 out of the 26 members of the House carried out the impeachment in a rowdy plenary session, though policemen were stationed around the premises to forestall any breakdown of law and order. The house subsequently elected Hon. Olamide George representing Akure North Constituency and Hon. Abimbola Fajolu represnting Ile Oluji/Okeigbo Constituency as the new Speaker and Deputy Speaker respectively.